Personal protective equipment (PPE) is an important part of the gear list of any tower climber and GME Supply is here to help ensure that you can get the gear you need when you need it. From ergonomics, gloves, hearing protection, and helmets to hi-vis gear, eyewear, and work boots GME Supply is your source for all PPE & Work Wear. Tower climbing is no easy job. It take a tenacious and strong-willed individual to go out and climb 100s of feet up metal structures all day. The career of a tower climber can wreak havoc on the body. That’s why helping you in every way we can is a priority here at GME Supply. We offer a full selection of ergonomic supports including wrist wraps, back supports, kneeling pads, knee pads, and elbow sleeves. When looking at gloves one of the most important things to look at is how effective those gloves are at protecting your hands from sharp and abrasive material. That’s where cut-resistant gloves come in. The telecom industry is no stranger to sharp edges and jagged metal - that’s why our Gear Experts® put together some of our favorite cut resistant gloves. We feature gloves ranging from ANSI A1 to A8 cut resistance and even have gloves that are compatible with your favorite touchscreen device. ANSI recently updated their cut resistance standards - we’ve got you covered there too. Be sure to check out this blog post about the ANSI/ISEA 105-16 standard on cut protection for more information. Job sites have a tendency to be loud - really loud - and tower sites are no different. As a tower climber, you come into contact with a whole slew of loud equipment. Constant exposure to loud noises can completely destroy your hearing and cause a real inconvenience for you later in life. That’s why our Gear Experts® have sourced a wide variety of disposable and reusable earplugs, hearing bands, and earmuffs. When looking at hearing protection it is important to keep in mind what type of rating it has. In the US the rating structure is based on NRR (Noise Reduction Rating). This will be listed as a number between 0 and 33 where the number represents the maximum decibel level the hearing protection will protect you from. There are two types of helmets (type 1 and type 2) classified by ANSI Z89.1-2014 for different levels of protection. Type 1 helmets are designed to only take a blow directly to the top of the head. Type 2 helmets have been designed to reduce the force from lateral impact such as an off-center and/or side impact, in addition to top impacts. These helmets have visible padding on the sides. Proper inspection should be taken each time the helmet is worn. Suspension should be installed and worn as the manufacturer intended. Exposure to paint and chemicals may damage the structure of the helmet, therefore steps must be taken to remove paint or chemicals after every use. Pressure sensitive, non-metallic stickers and self-adhesive tape are typically accepted however we strongly recommend you refer to the manufacturers' specifications before applying anything on the surface of the helmet. There are many low visibility situations when working in the tower industry. Not to mention, mother nature doesn’t make every day sunny. You need to be seen on the job site to stay safe. Stand out from the crowd and stand out on the job site with our wide selection of hi-vis apparel. Our high visibility workwear includes a range of sizes and colors. 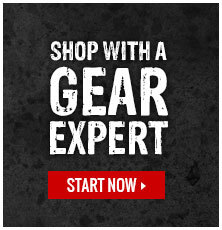 We have both class 2 and class 3 safety apparel to ensure you have the gear you need to get the job done. As a tower climber, you constantly rely on your feet. Your work boots should be more than comfortable, they should protect you from the many hazards that can be present while on the job. At GME Supply we take your safety seriously, and that includes your feet, too. We’ve got a wide selection of work boots that will help keep your feet comfortable and safe day in and day out.